Your competitors - Amazon, Best Buy, Target, Walmart - are bigger, with multi-million dollar budgets and marketing teams which could fill a stadium. The advantage, of course, is the things they can't deliver: your personal touch, the quality of your products, your niche market, your brand personality. But you need a strategy to get that first buy-in. It's impossible to deliver the personal touch, brand personality, or show the quality of your products if someone's never engaged with you. And that's where a limited-time sale comes in. 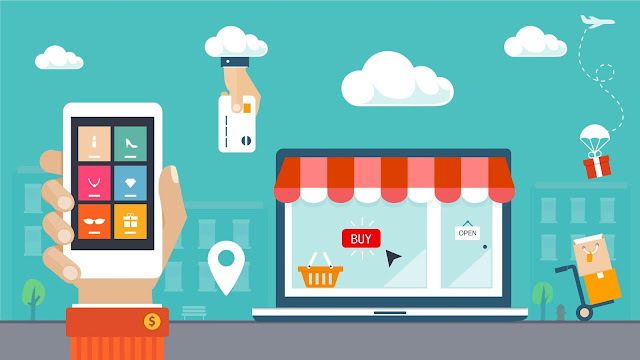 This article will give you a step by step guide for how you can run a successful ecommerce sale from start to finish. There's no limit to the number or type of seasonal sales your business can run - it's all down to your creativity and business type. For retailers, my recommendation is to pay close attention to the gift-giving holidays: Christmas, Mother's, Day, Father's Day and Valentine's. It's often easier to motivate prospective customers to buy for someone else than to buy for themselves. For ecommerce businesses in the fashion industry, seasonal sales are always good: "Shop our Fall Fashion Line" or "Summer is Coming! Get 25% Off until May 1st!" To create a coupon or free shipping code in Shopify, click here. To create a coupon in BigCommerce, click here. To create a coupon in Magento, click here. Whenever you run a sale on your website, you need a specific place to send people. 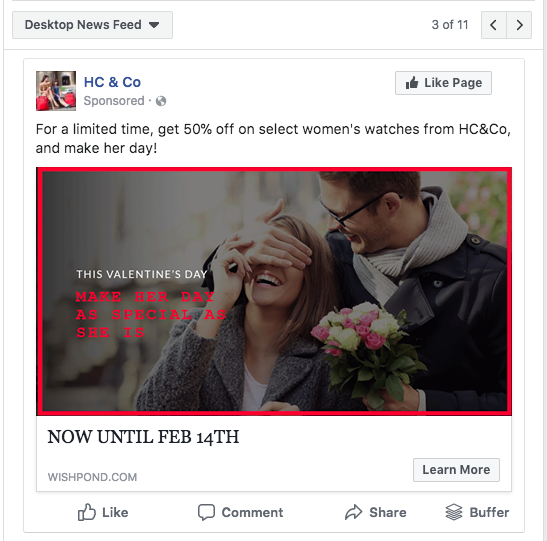 There's no point in sending specific traffic - people who have clicked on an ad, popup, social media post or blog article which has a specific selling point ("Get 25% off this Valentine's Day!") - to your homepage. Don't get me wrong, homepages are great. They offer your visitors a single place from which to find whatever it is they want. But they also give options to not convert. 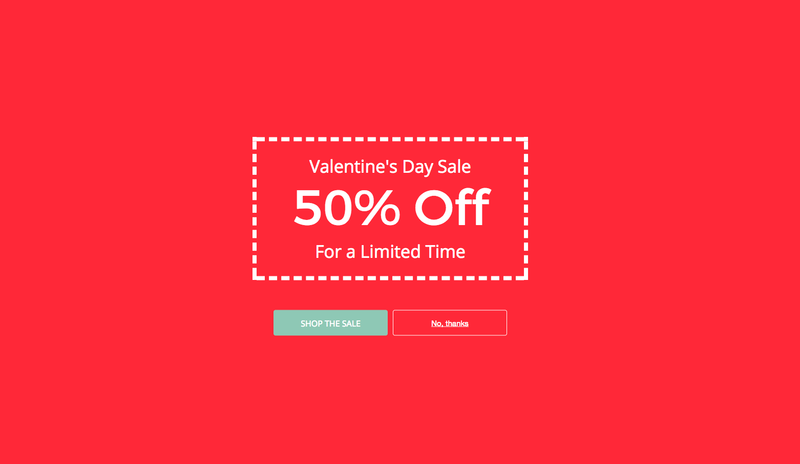 A dedicated sale landing page focuses your visitor's attention on your sale. They don't have the option to click to your product directory, go to your homepage or anything else. 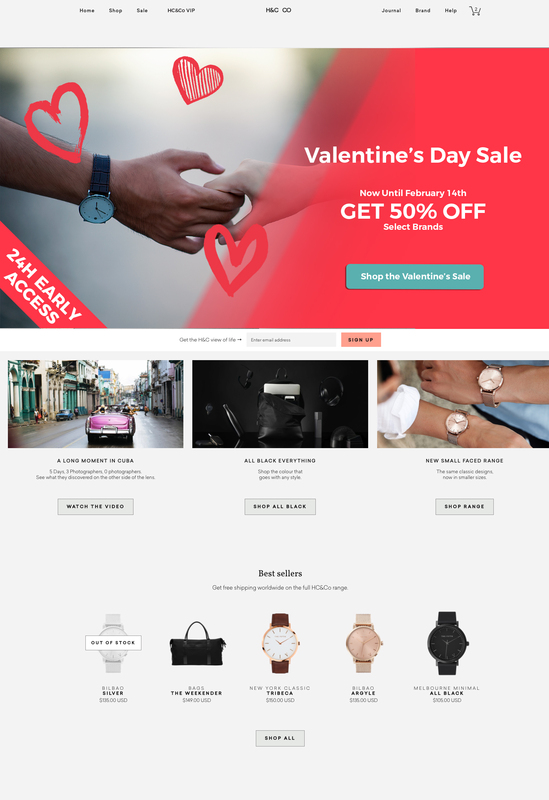 This landing page gives people early-access to a Valentine's day sale and builds your list. 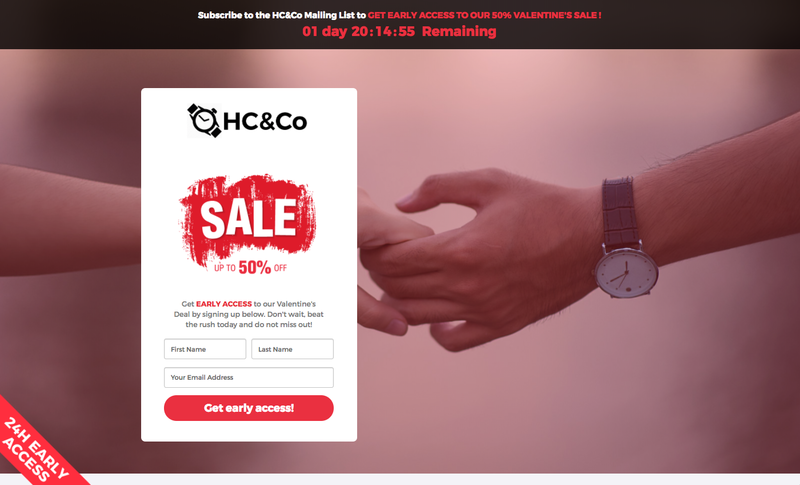 The post, ad or blog link might read "Get Early Access to HC&Co's Valentine's Day Deals!" 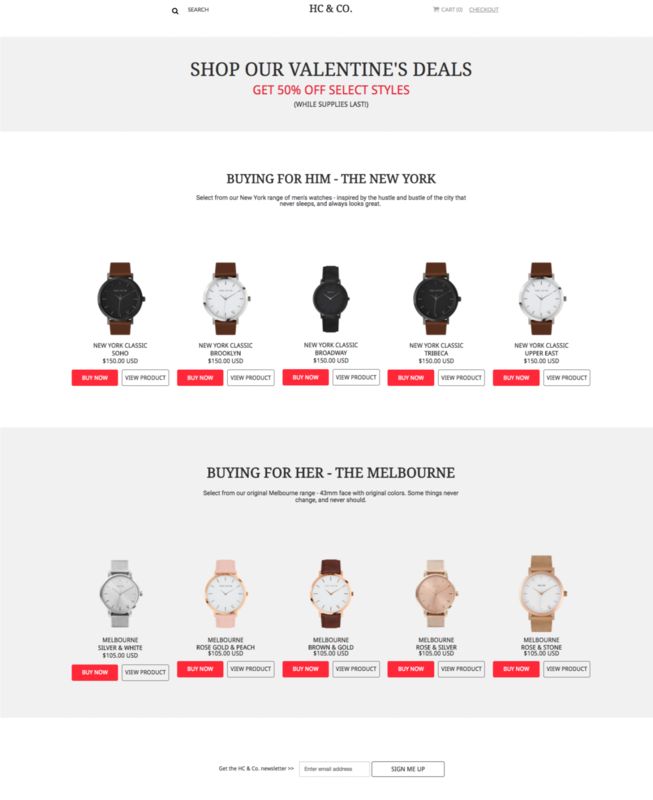 So this is the first step - giving early access on a dedicated, conversion-focused landing page. To build one just like this signup for Wishpond, free. 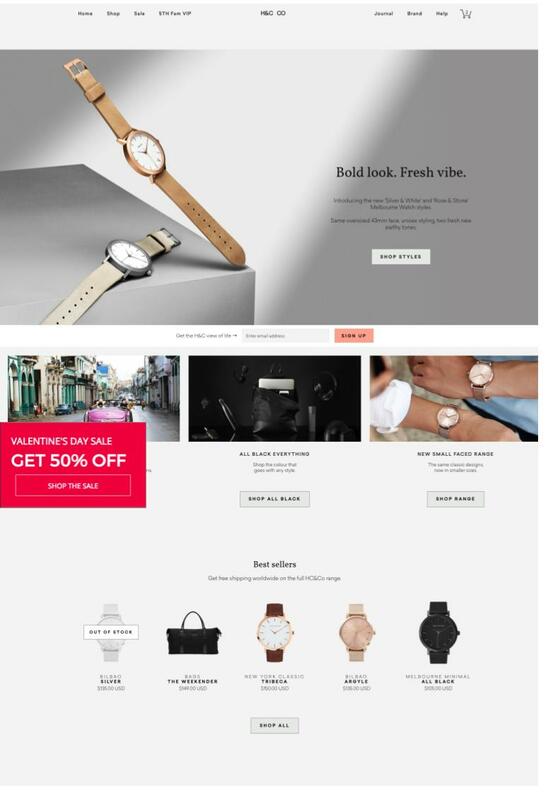 Once you've created your coupon codes and driven a few early-access people to your mailing list, it's time to launch your sale. As with any good online promotion, you need a page dedicated to this sale. For most ecommerce businesses, traffic is driven from online advertising. And that's important. But many businesses miss a huge opportunity for driving awareness and prospective customers toward their campaigns: existing web traffic. Your website's visitors, wherever they come from, are clearly interested in your products. But, in general, 95-98% of them are going to leave without doing anything. Making them immediately aware of your ecommerce sale, however, improves the chance of them buying something there and then. All of these promotion tools were made with Wishpond's website optimization tools. Check out our popups, welcome mats, sidebar CTAs. Notice I've only targeted men with this ad set. This is because I'll get better conversion rates targeting boyfriends and husbands with messaging and images specific to them than I would with generic targeting and generic messaging. 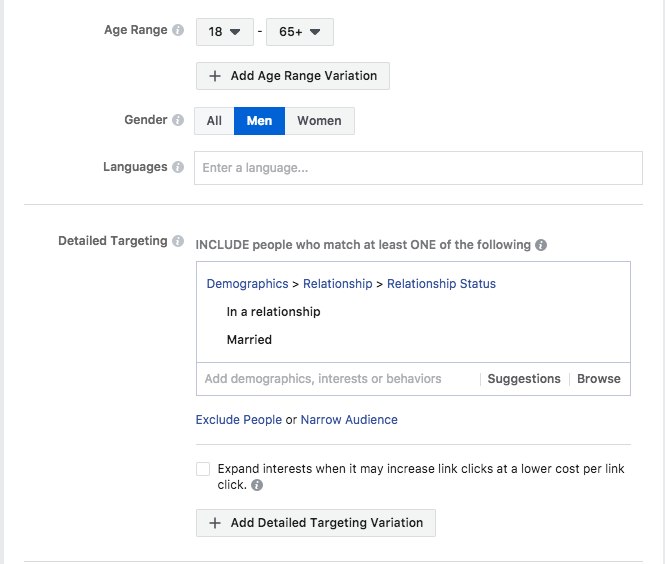 Next, choose the demographic details of your target audience for this ad campaign. If you only ship within the continental US, be sure you've only targeted the continental US with your ad. 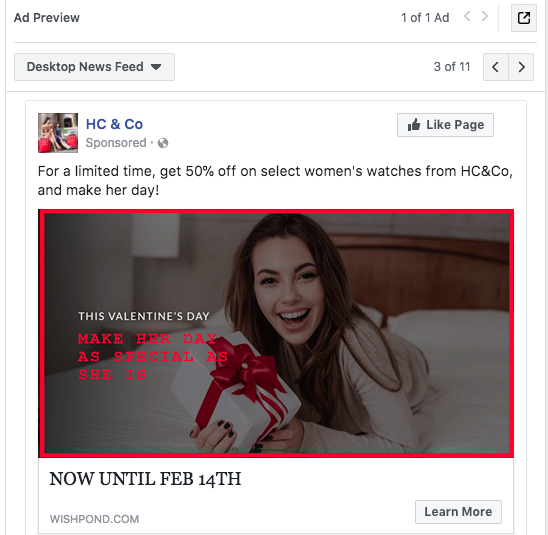 This gives me a large ad audience, so I might focus in even more by targeting people who have bought from a Facebook ad before, or people who are interested in fashion. 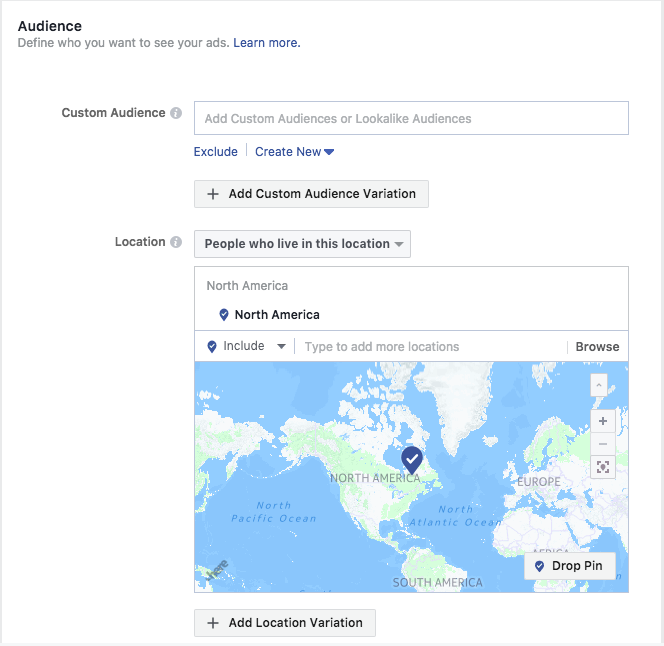 My recommendation for a Facebook ad audience size is between 50,000 and 500,000: small enough that the people who click will be genuinely interested in what you're selling, and large enough that a small percentage of viewers will still be a significant number. 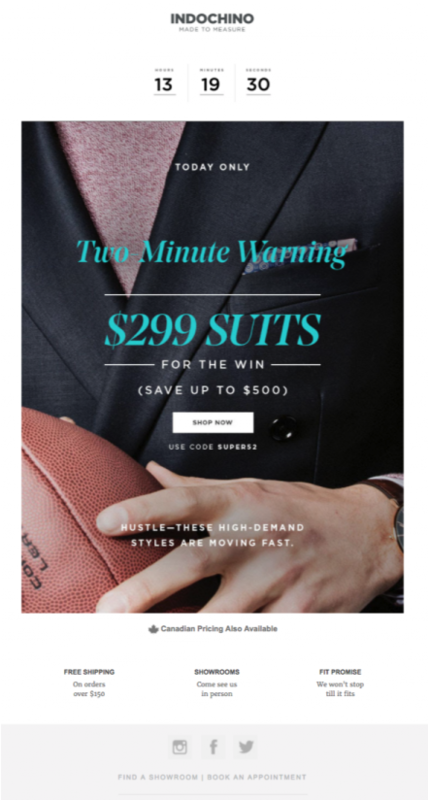 Next, create your ad image and write the copy that will tantalize and entice people to your ecommerce sale. For this first campaign, set an ad budget of $20 or $30 per day, but know that you'll only pay when people click on your ad. 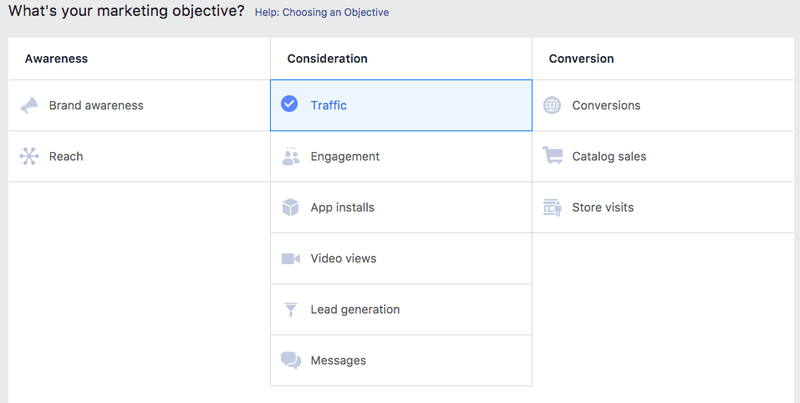 Want help tracking your Facebook Ad ROI? The easiest way is to book a time to talk to a Wishpond ad professional who can walk you through it, as it often changes based on what ecommerce website platform you use and what your conversion goals are. Hopefully this article has given you a better understanding of how to run a successful ecommerce sale. Remember that it's not just about creating the discount code or setting up the ad. It's about the whole funnel.